The Beatles 50 Years Ago Today: July 1, 1967. Beatles Radio: The Beatles, Solos, Covers, Birthdays, News The Fab 4 and More! This day's edition of the BBC Light Program show, "Where It's At" (4:00-5:30 pm), hosted by Chris Denning, included a pre-recorded interview by Kenny Everett with Paul McCartney, in which Paul discussed All You Need Is Love. It was was taped at some point during the preceding week, Monday to Friday, after the Our World transmission, but more precise day/location information is not known. 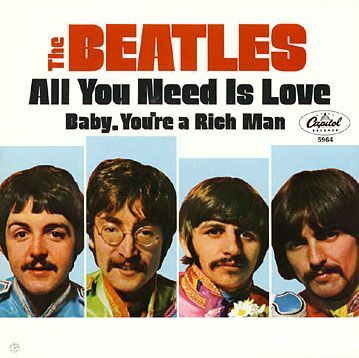 "All You Need Is Love" was played twice in the 90 minute show, with B-Side "Baby, You're A Rich Man" played once.